A poll for uSwitch has revealed that 42% of consumers think renewable energy deals are more expensive than conventional ones (but 38% would still consider switching to one). But they are in fact wrong. And half of the top 10 cheapest tariffs are green suppliers who are now confidently competing with the Big Six. uSwitch also found that companies such as People’s Energy and Yorkshire Energy now offer tariffs that are over £267 cheaper than the average default tariff on offer by the Big Six. Last year, only two of the 10 cheapest were renewable. 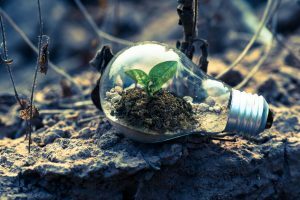 uSwitch claims the increase in cheap green deals has risen from smaller suppliers striving to set themselves apart, which demonstrates they are “no longer an expensive luxury for those who can afford to pay for their principles”. Consequently, suppliers who had initially steered clear of green tariffs have now returned to renewables, such as E.ON and npower. With renewable energy fast becoming not just a choice but a necessity, it makes sense not only for our environment but for business too. Companies that opt for sustainable strategies will be at a huge advantage to those who do not.